J.J. Abrams’ Star Wars: Episode IX can potentially give fans a fully-powered Jedi Master Luke Skywalker. 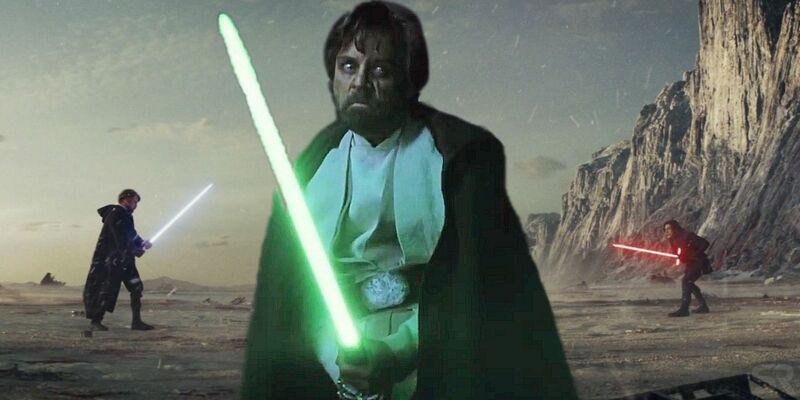 When it was first announced that Mark Hamill would return for Abrams’ Star Wars: The Force Awakens, Star Wars fans had hoped that they would finally be able to see Luke as a true Jedi Master, but that never happened. Instead, audiences only got a brief glimpse as Luke in Star Wars: The Force Awakens before seeing more of his life as a hermit (and certainly not a Jedi Master) in Rian Johnson’s Star Wars: The Last Jedi. To cap it off, Luke also died in Star Wars: The Last Jedi, which was a result of him overexerting himself by using the Force. Needless to say that decision to kill off one of the most beloved characters in fiction was met with divisiveness among fans. But that doesn’t mean Star Wars: The Last Jedi was the final time fans were going to see Hamill as Luke Skywalker. 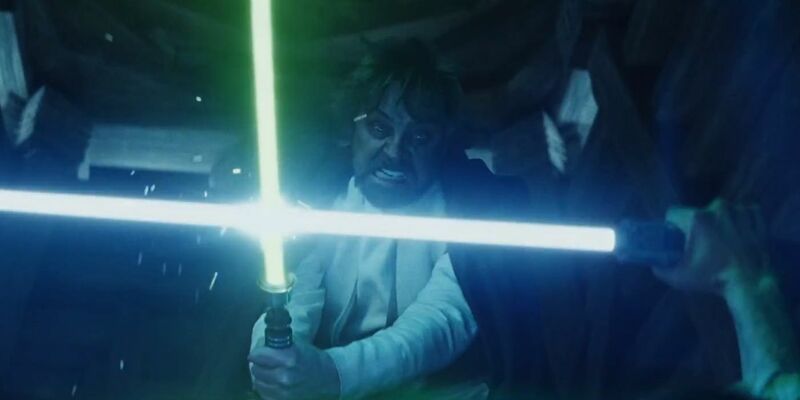 Hamill’s Luke has to be involved in a key role in Star Wars: Episode IX given the fact that this isn’t just ending Disney’s Star Wars sequel trilogy but wrapping up the Skywalker saga as well, and that could very well mean seeing him in a guise fans have never truly seen on the big screen before: a fully powerful Jedi Master Luke. Hamill’s return, then, almost certainly means audiences are going to be seeing Luke as a Force Ghost. It’s the most logical solution since it’s the galaxy’s built-in narrative function that allows for characters to return, and makes far more sense than, say, Abrams resurrecting the character, even if that’s what some fans might prefer. Luke did tell his nephew, Kylo Ren, that he’d see him around, after all, so fans can probably expect a Kylo/Luke scene, while also perhaps him giving some more guidance to Rey. But that’s not the only plausible way Luke could return. 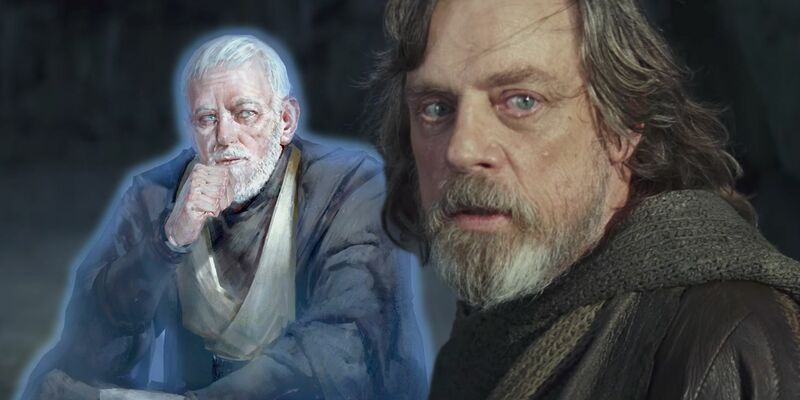 Could Star Wars 9 Feature Luke Flashbacks? With Star Wars: Episode IX ending the Skywalker Saga, it’s fairly likely that the film is going to look back at the past, despite the calls to let it die, as much as it is marching on to the future. Star Wars: The Last Jedi introduced a number of new elements to the franchise, and chief among them were flashbacks. Fans had seen glimpses of the past before but never in such an overt way as the flashbacks that appeared here, and crucially, it was a flashback (or three flashbacks of the same event) featuring Luke. Since that’s an option on the table, then, and since Hamill is returning and there needs to be a decent-sized role for him, Star Wars: Episode IX could show audiences more flashbacks of Luke. (Hamill is also up for a digitally de-aged Luke.) After all, there’s still plenty of Luke’s story to tell, especially between the events of Return of the Jedi and Star Wars: The Force Awakens, including his relationship with Ben Solo/Kylo Ren and his ties to Supreme Leader Snoke. Flashbacks would be a means of answering some of those lingering questions which, lest fans forget, Abrams himself laid the foundation for. Star Wars: The Last Jedi made the bold choice to kill off Luke and, while it brought the story of the farm boy full circle and saw him become one with the Force, it left some fans dissatisfied with how things turned out for him, and more so with the fact audiences didn’t get to see him in all his Jedi glory in the movie. Luke is arguably one of the greatest Jedi of all time, but one thing the new Disney/Star Wars canon hasn’t done too much of is show just how powerful he is. In Legends, Luke grew in strength until he became too powerful, but if all audiences go on are the movies, then his greatest display of power is the aforementioned projection of himself from Ahch-To, and that’s a missing aspect fans have complained about. The Force Projection is a remarkable feat, especially given how long he’d been cut off from the Force, but it begs the question, how powerful was Luke Skywalker in his prime? In the post Return of the Jedi stories, fans have heard stories about his power, with the most incredible being the rumors around the galaxy that he’d pulled down a Star Destroyer using the Force (something that had been taken directly from the Star Wars: The Force Unleashed video game). Star Wars: Episode IX is being seen as a course correction by Lucasfilm, and Abrams’ love for Star Wars may result in some crowd-pleasing moments for the final Skywalker saga installment. That much is already evident with the return of Hamill’s Luke Skywalker, Carrie Fisher’s General Leia Organa, and Billy Dee Williams’ Lando Calrissian. This is going to be the last time audiences see Luke on the big screen – or, at least, the last time Hamill plays him – and it’s the last chance to show him not as a Jedi-in-training nor as an old man in exile, but rather as a true, full-powered Jedi Master. To someone like Abrams, who accepted the Star Wars: The Force Awakens gig because of the question, “Who is Luke Skywalker?”, that’s got to be a tantalizing proposition. 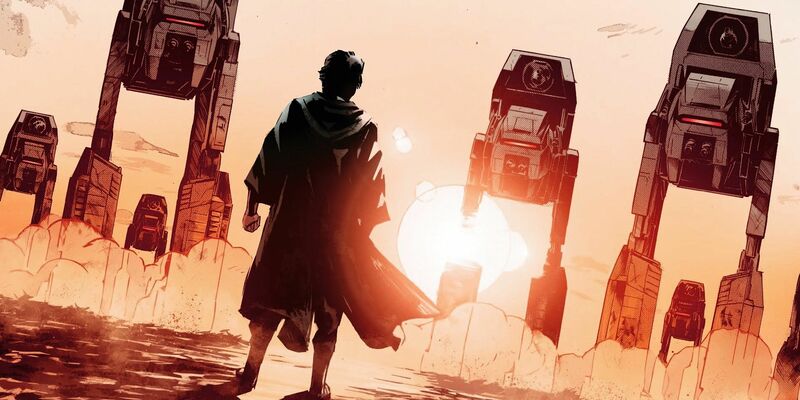 It’s one thing for Abrams to want to deliver Jedi Master Luke (as much as fans would love to see it), but there needs to be a narrative reason in Star Wars: Episode IX for it to happen. Otherwise, diving deep into fan-service can be detrimental to a story arc. After Star Wars: The Last Jedi, Star Wars: Episode IX is free to go in pretty much any direction that it wants, so long as it wraps up the conflict between the First Order and the Resistance, not to mention the stories of the new and original Star Wars franchise heroes. One possibility for that to happen with Jedi Master Luke is that Star Wars: Episode IX can explain more of Kylo Ren’s past, including how Snoke (or Darth Vader) influenced him. Any such journey would likely involve seeing Kylo Ren/Ben Solo under the tutelage of Luke. Alternatively, it might delve into Snoke himself a little more, and his own relationship with Luke. It’s believed that the two had a history – whether in person or through the Force – that gave the Supreme Leader an appreciation and respect for the Jedi Master. 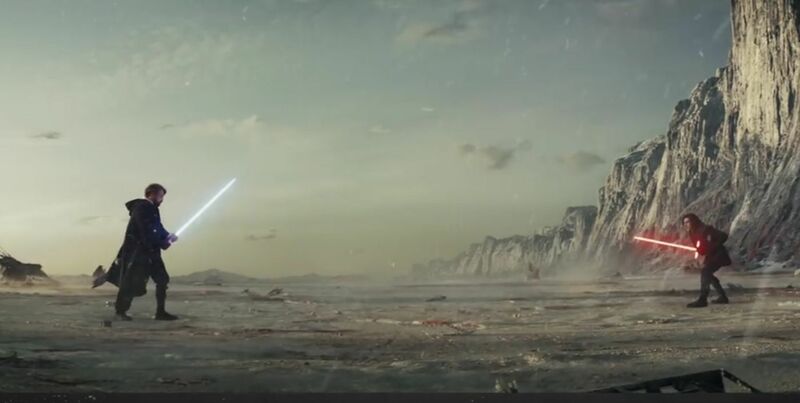 A display of incredible power is the kind of thing that would surely make Snoke take notice, and it’s certainly the type of thing Abrams might want to include on the big screen. (There are already rumors of Snoke appearing in Star Wars: Episode IX). Another possibility is simply showing Luke take part in another lightsaber duel prior to his self-imposed exile. In order to answer some of the questions Abrams himself set up, have a meaningful way of bringing Luke back, and regaining the trust of fans who were disappointed with Star Wars: The Last Jedi, showing a fully-powered Jedi Master Luke Skywalker could well do the (mind) trick.